Share the cost of the SMS communications of your organisation. People supporting your organisation or cause can sign up to become 'donors' and donate a number of SMS messages for your cause. Everytime that you need to send a text to a list of subscribers (e.g. volunteers, staff, followers etc.) you collectively share the cost of the text messages sent. As the group announcements are sent through a network of donors and their phones, the communication of the organisation becomes more transparent. People subscribed in your communication lists receive the announcements through one of the organisation donors. Donors, through the Iris app, are able to see the content of the announcements sent, the subscription lists and sending and delivery reports. Decentralised communication as the messages are sent through your network of donors. Decentralised coordination as announcements are sent through multiple communication coordinators. Coordinators can manage subscription lists, make announcements by using your SMS donor network and in general decide on the communication strategy of the organisation. 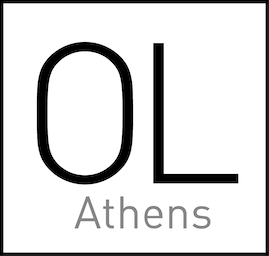 Open Lab: Athens (OL: Athens) is an IT support and research capability based in Athens, Greece, and is a digital civics initiative of a collective of human-computer interaction research groups. Iris is a system inspired by the Solidarity Economy in Greece.